Inspections by a Certified Master Inspector. Your “Top Choice” in Home Inspections serving Northeast Ohio. Why Choose Top Choice Home Inspections? Home Maintenance Book and much more! 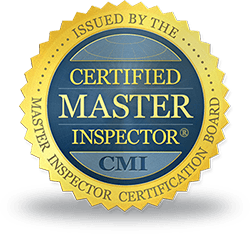 I am a Board Certified Master Inspector. I have spent many years in the home inspection industry. In that time I have worked hard to hone my skills to give every client the best home inspection possible – each and every time. My years of experience has always helped me in inspecting homes, but I don’t rely completely on that experience. Buildings and standards change all the time, so I work hard to be well trained and up on the latest industry standards. I am able to find issues that others may miss because if this training coupled with experience. I am also Infrared certified, which helps me to inspect your home to an even greater degree. This is the kind of experience that I bring to each and every home inspection that I perform. Contact us today to see why so many consider us the “Top Choice” in home inspections! InterNACHI Certified Master Inspector covered by Errors & Omissions Insurance & General Liability Insurance. We’ve been in the building and remodeling fields for over 5 years. We’ve seen it all. Your Top Choice for home inspection services.